Planning a trip to Arizona? If you are going to be anywhere near Tucson, I highly recommend taking the time to plan a trip to Kitt Peak National Observatory, home of the largest array of optical and radio telescopes in the world. I lived in Tucson for my husband for almost three years back in the 90s and in retrospect, I can’t believe I didn’t take the time to go out to this amazing place. 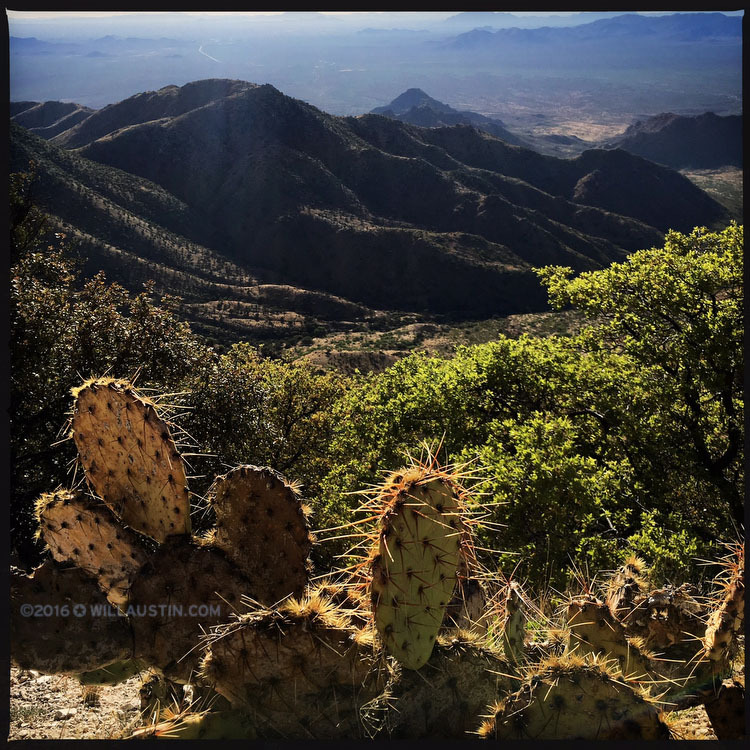 We decided to take a trip back to Tucson to visit friends and do more exploring over spring break – taking my mom and our teenager son with us. This time we made it mission to visit Kitt Peak. And I’m so glad we did. It was definitely a trip highlight. We took advantage of their amazing evening program. Plan on at least four hours (plus travel time) for this incredible experience. 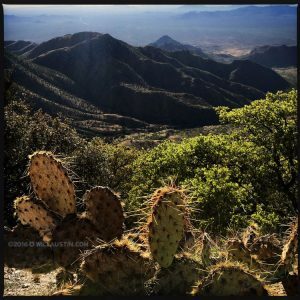 The hour long drive from Tucson is lovely, as is the drive up the mountain which is located on the Tohono O’odham nation’s tribal land – with stunning views of the desert landscape. We arrived late afternoon and ate a modest dinner that they provide (sandwiches, chips, cookies) and then enjoyed a lovely sunset from this spectacular vantage point with a guide explaining about the observatory and its history. Following sunset we went into their education room and were oriented as to how to use star charts and what the plan was for the evening. We then spent time outside star gazing with hand held binoculars (I had no idea how great binoculars are for star gazing) and then spent an hour looking at different galaxies, constellations and nebulas (star birthplaces!) through one of their almost 30 powerful telescopes. Unbelievable. My favorite was the Orion Nebula. Our guide happened to also be an astronomy photographer, and shared with us a breathtaking photo of the nebula that he recently had taken through a telescope at Kitt Peak. He also shared wonderful stories, taught us fascinating facts about astronomy, stars and planets and showed us sights we had never seen before. Another interesting part of the evening was the strict rules about light pollution on the mountain, as the huge and very sensitive telescopes could be affected by even light coming from an iPhone screen. We were all given small red light flashlights to use while on the mountain, and when it was time to leave, our hosts covered up our headlights on our cars and guided us part way down the mountain, where they then removed the covers and sent us on our way. If you plan to go, take a moment to visit the Kitt Peak’s Visitor Center website which explains their various programs and how to sign up. Do be sure to sign up well in advance, especially for the evening program as that is very popular and fills up quickly. And most importantly – dress warmly! We were advised to bring hats, gloves, layers and warm coats, and even a blanket. We were glad we brought all of those as evening temperatures in the desert can be quite cold, and it made sitting outside looking through an open air telescope much more enjoyable. All in all a wonderful experience – don’t miss the chance to go!